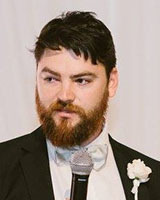 Dr Peter Irga is a Post-Doctoral Research fellow in air quality research and core member of the Plants and Environmental Quality Research Group at UTS. Peter is an internationally recognised expert in indoor air pollution and the main technologies and protocols used for air pollution monitoring, with specialist knowledge on pathogenic fungal spores and contaminated buildings. His current research interests lie in the application of atmospheric science to inform policy on air quality, the relationship between air quality and health, and on the linkages between air quality and climate change. He has also worked extensively on projects involving optimizing plants potential to improve air quality, especially through biotechnology. Peter’s recent work is focused on the use biotechnology for the reduction of air pollutants, namely biofilter systems. Irga - Can green infrastructure technology mitigate the impending air quality crisis in Australia?